For us at GetVoIP, we truly enjoy the experience of kicking things off with a new provider. The latest service we initiated, which I'm genuinely looking forward to using, is from Jive Communications. Following the completion of a simple form indicating preferences of service and personal information, the wheels started to turn in our journey to Jive (bear with me, as I'm supressing the need to make a ton of puns). Of course, approaches may vary, but today we brought our own device, as we have plenty to spare. For the detail-oriented/curious, it's a Cisco SPA303 – one of my favorite workhorses of an IP phone that's as reliable as it is durable (I've dropped it numerous times). Once you're a Jive customer, their Fulfillment team takes the reigns and switches gears. Everything started to materialize rather quickly, and in an orderly fashion – a combination of the two makes for a great experience without overwhelming new customers. As I've had one without the other in past service activations, not to mention additional facets of “consumerdom”, I can attest to Jive's system being well-maintained and intelligent. Their friendly associate sent me over some pertinent info, including important contacts, a succinct 6-page start-up guide, and a timeline for the activation process entitled “What Happens Next?”. For those who are looking to order new equipment through Jive, the shipments are sent out without 1-2 business days, pending they have the extent of your user information, etc. The most important and core value to any phone service is of course, the system setup and call flow management. Jive Communications understands this by driving new clients to schedule a 30-60 minute session for a rep from the Fulfillment team to talk/walk you through it. Simply select your desired area of help from the dropdown menu, and choose from an available date on the calendar – it's that easy. The transition thus far was smooth as silk – really a delight for my weary mind, which has plenty on it, all the time. Jive Communications have artistically made their start-up process a welcoming, complete one requiring little effort from the new customer. While waiting for Jive to allocate the new telephone order for our company, I figured I'd take a look at the help desk. If the weight of the world starts to keep you down, or you're having a problem with your phone service, Jive is there with a top notch support system. In the case of the former, I actually suggest something besides Jive, though the latter seems their forte, without a doubt. 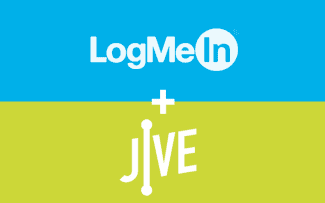 The contact you're speaking to from Jive Communications will deliver login credentials plus a link to visit the Support Desk. In a few words, it was beyond refreshing to visit a dedicated portal for a change – simple yet efficient in design. Cycling through the menus, there was a definite comfort in viewing current tickets to find out Jive were already hard at work in getting our number up and running. Everything from the Ticket ID, Last Update, Most Recent Agent to interact with the ticket, status, and priority were there in plain text. It's one thing to be told a company is working on something, and it's quite another to actually 'see' that they are. Once your lines have been provisioned and are up and running, you'll be receiving a punctual call (as per your desired appointment) from a member of the Jive Fulfillment team. They'll initiate a screen share displaying your system and walk you through everything, give detailed explanations, answer questions, tweak settings according to your preferences, and shed light on pretty much anything that might need clarity. In the event you are unsure or don't remember directives, there's plenty of literature to reference moving forward. In any regard, Jive gives their customers the white-glove treatment and are a devoted, thorough team of technocrats behind what's already an elite product. I'd definitely recommend Jive as a reliable, crème de la crème business VoIP service, and it's no mystery that huge names like Microsoft, Cisco, and Polycom are proud to call them partners. I'm looking forward to discovering everything Jive Communications has to offer, and am impressed thus far, to say the very least. If you're already a Jive customer, we would love to hear your feedback and experience with your Jive VoIP Services. Please share your Jive experience with others here.